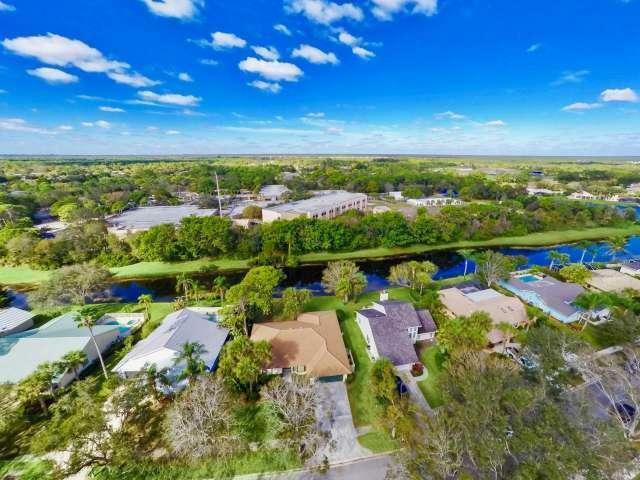 One of the most competitively priced homes in this highly desirable neighborhood in Jupiter. 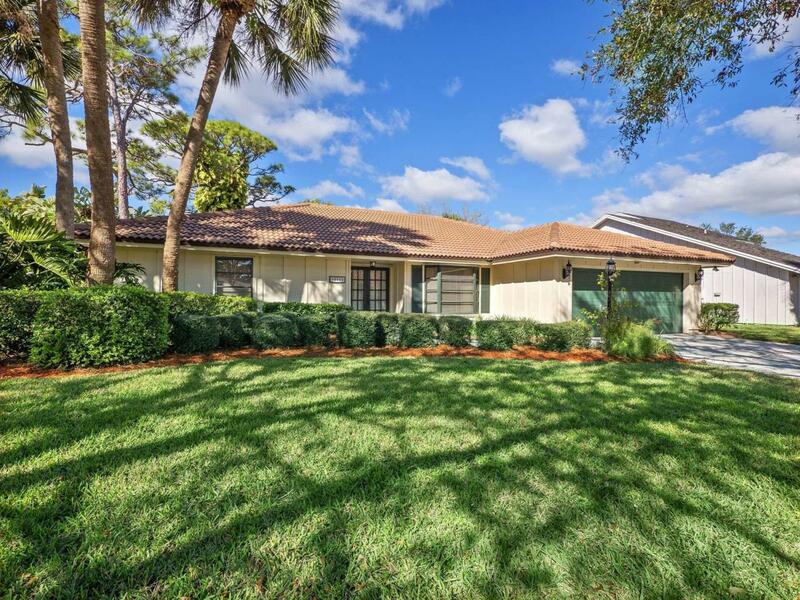 Enjoy tree lined streets and lake views as you make your way home to this 3 bedroom 2 bath lovingly maintained home in the Shores of Jupiter. 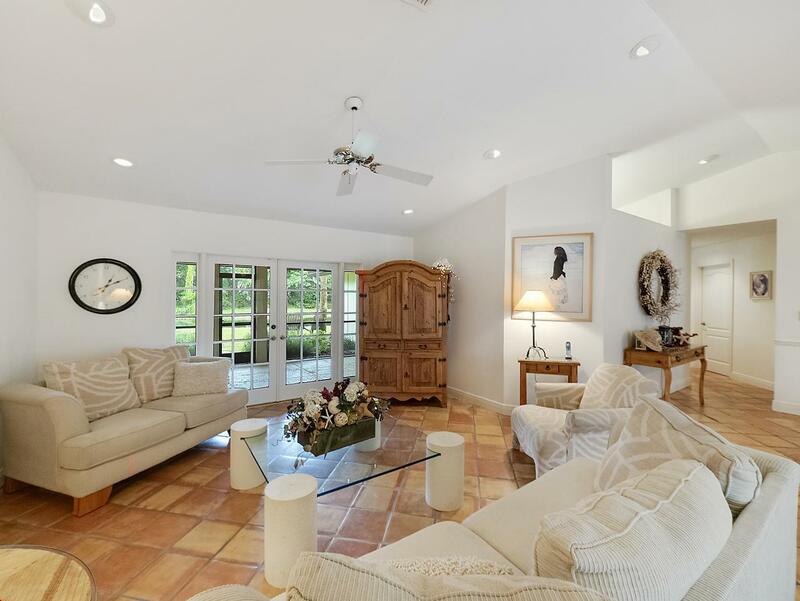 This home features a bright and open floor plan with vaulted ceilings and ceramic tile throughout. French doors will lead you out to your large screened in patio with cedar ceiling and gorgeous lake views. The kitchen features wood cabinets with tile counters, a large pantry, and white appliances including a new stove. The owner suite features plantation shutters and large walk in closet. Additional upgrades include; new barrel tile roof in 2005, AC (2012), and a current termite bond. All windows are fitted with either hurricane panels or accordion shutters.For additional storage, there is accessible attic space with pull down stairs in the garage. 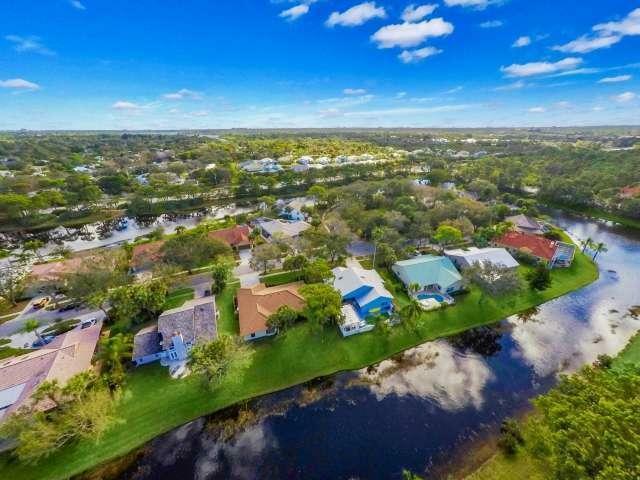 This home is walking distance to "A rated" Limestone Creek Elementary School and currently zoned for Jupiter Middle- and High School. Conveniently located near I95/Turnpike, shopping and beaches.